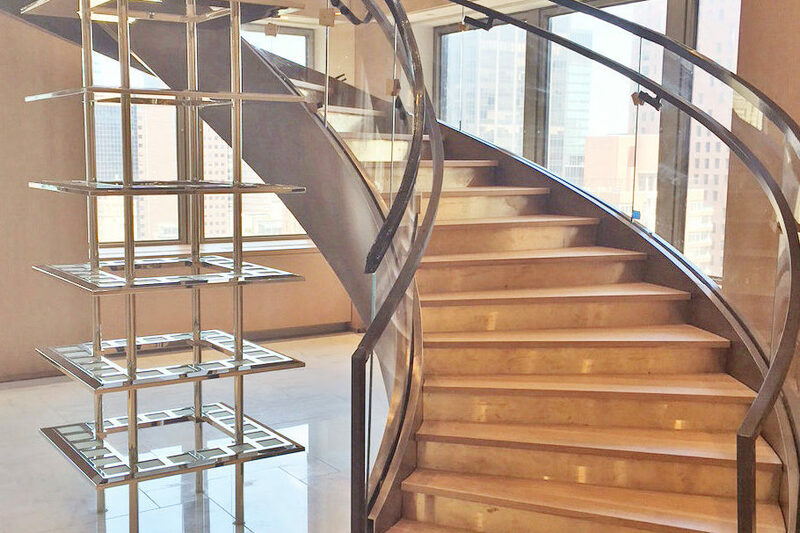 Custom curved bronze clad stringer + glass guardrail + handrail. 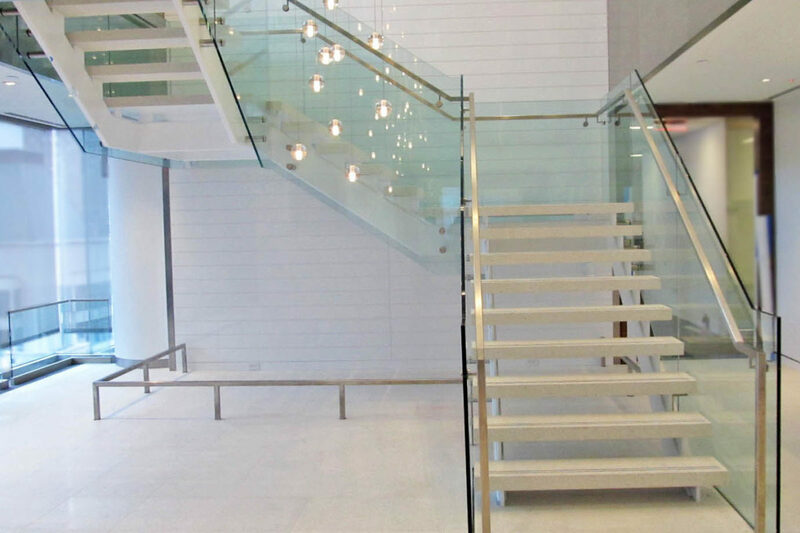 All glass guard railing with stainless steel trim + handrail. 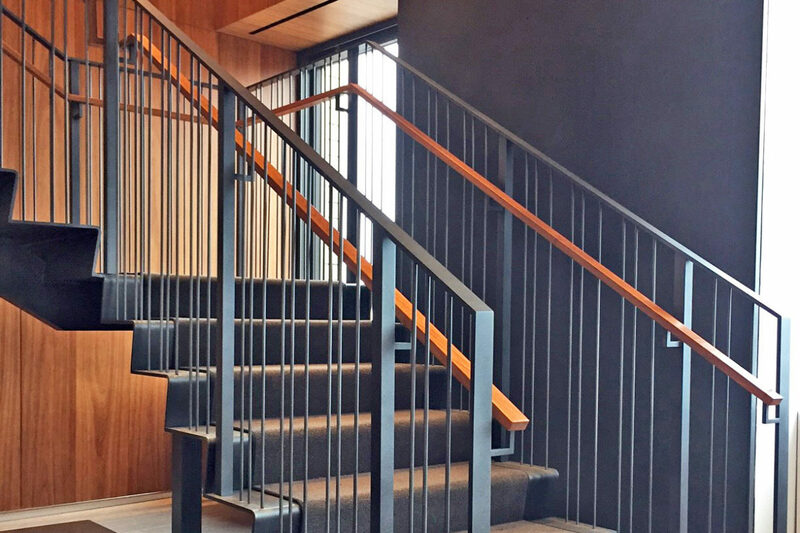 Custom design build stair with steel tread support + picket guard railing. 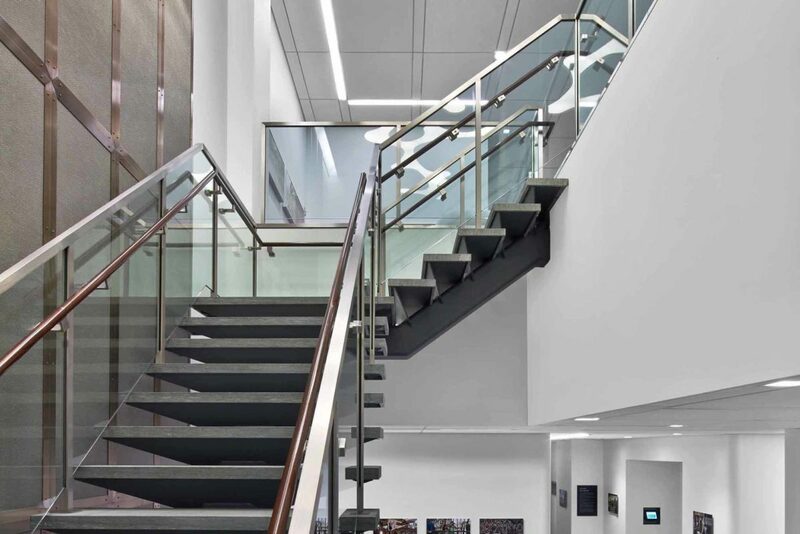 Glass guardrail with blackened steel cladding at stringer. 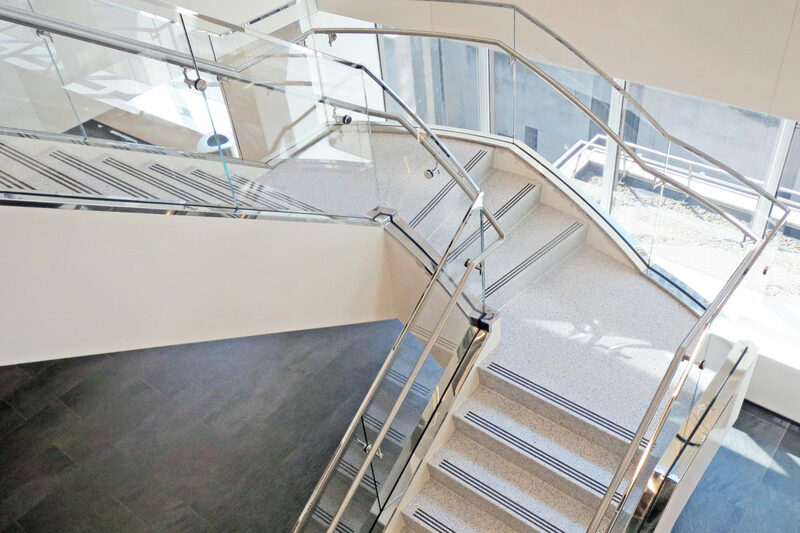 Design build stair with painted finish + side mounted glass guard railing. 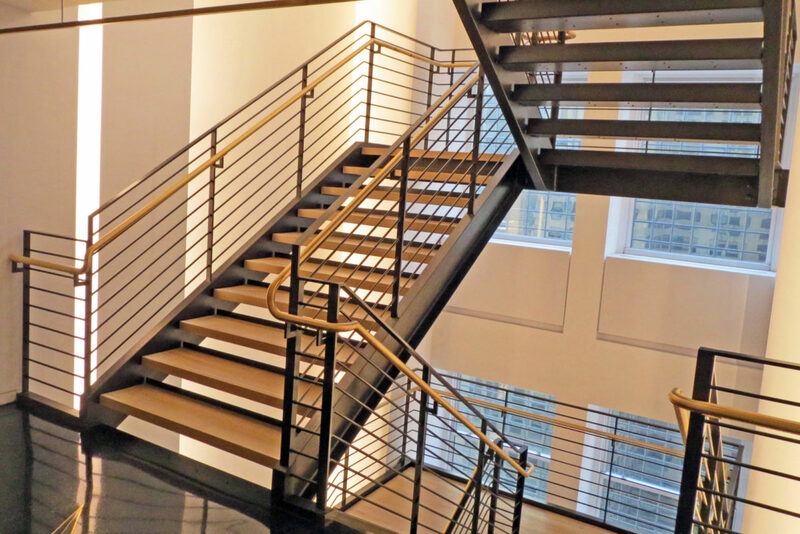 Custom Design-Build stair fabricated by Mistral with blackened steel supports, glass railing, + hand rails. 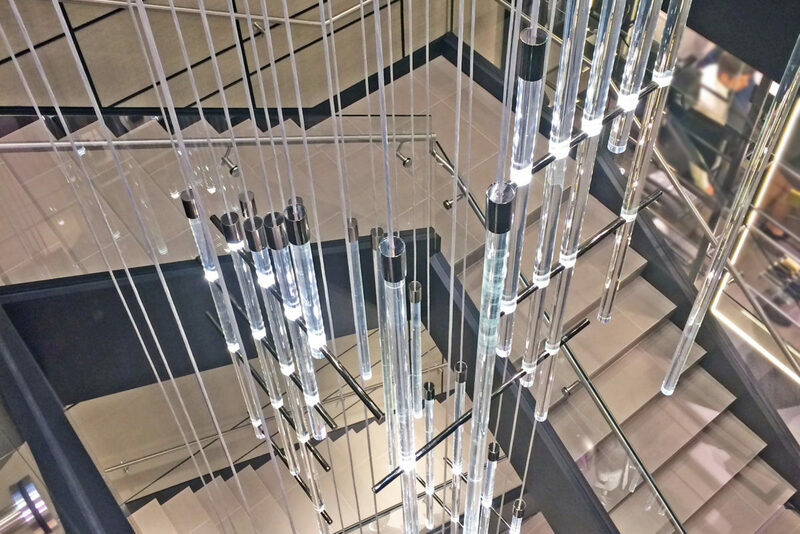 Custom stainless steel + glass staircase, + bronze framed architectural stainless steel mesh. 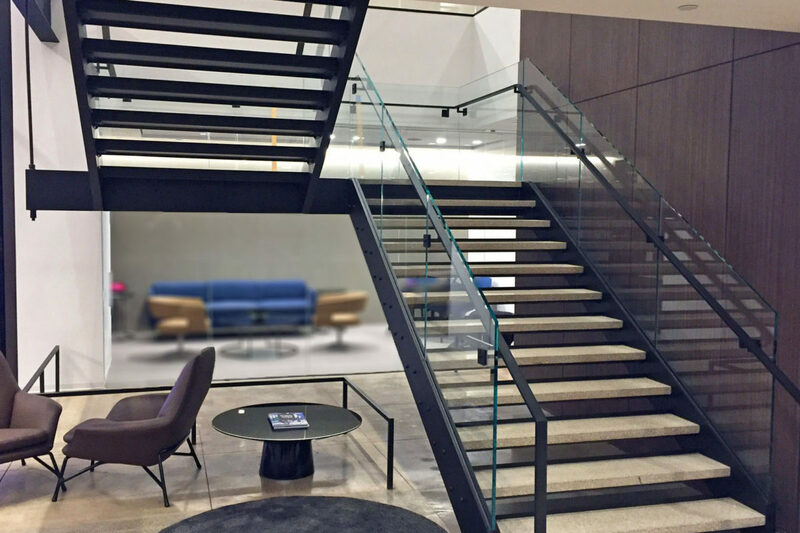 Bent stringer + riser with steel picket guardrail.